The Peripheral and Central Nervous System Drugs Advisory Committee of the US Food and Drug Administration (FDA) announced the unanimous recommendation supporting the approval of the new drug application for the investigational cannabidiol oral solution (Epidiolex), for adjunctive treatment of seizures associated with Lennox-Gastaut syndrome (LGS) and Dravet syndrome in patients 2 years of age and older. If FDA approved, Epidiolex will be the first pharmaceutical formulation of purified, plant-based cannabidiol oral solution and the first in a new category of anti-epileptic drugs, additionally, if approved, it would be the first-ever FDA-approved medicine for Dravet syndrome patients. The 13–0 decision was based on the efficacy and safety data from 3 randomized, double-blind, placebo-controlled trials — 2, 14-week trials in patients with LGS; and a 14-week trial in patients with Dravet Syndrome. Additional safety data were provided from a 3-week dose-finding study in patients with Dravet syndrome, an open-label extension study in patients with LGS and Dravet syndrome and expanded access INDs in refractory epilepsy populations. In the phase 3 studies, patients that added Epidiolex to other antiepileptic therapies significantly reduced the frequency of seizures, experiencing a 40% to a 50% average reduction. The treatment was generally well tolerated, and the most commonly observed effects were observed in the central nervous system (somnolence and sedation), gastrointestinal (decreased appetite and diarrhea), hepatic (transaminase elevations) and infections (pneumonia) and these events were generally mild to moderate in severity. Serious and/or severe adverse events were generally related to transaminase elevations, somnolence and lethargy, and infections. Although the risk of liver injury has the potential to be serious, the briefing documents recommended it can be appropriately managed with inclusion of relevant language in labeling, education of prescribers regarding the risk of transaminase elevation and need for monitoring of liver enzyme levels, and further characterization of the risk in the post-market setting. There were 20 deaths in the development program. However, the patients were generally ill with multiple comorbidities and none of the deaths could be attributed to Epidiolex. Epidiolex, an oral solution manufactured by GW Pharmaceuticals, consists of cannabidiol, a component of cannabis that does not make people high. Since marijuana is restricted as a Schedule 1 drug by the Drug Enforcement Administration, during the advisory meeting the FDA said that cannabidiol will need to be rescheduled to be made available for sale, if approved. 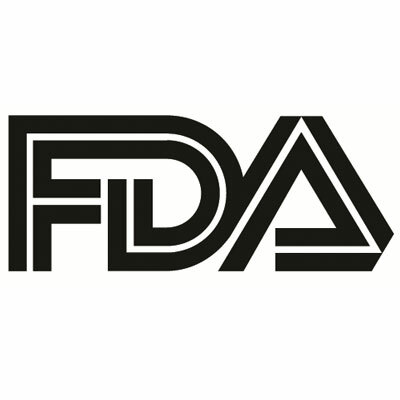 In June 2014, the FDA granted fast track designation to Epidiolex. The prescription drug user fee act (PDUFA) date is June 27, 2018, and if approved, the medicine is expected to be available by prescription in the second half of 2018.